As well as their other top games, Konami will show off Pro Evolution Soccer 2013 to thousands of visitors during the five-day event which will run between 15-19th, August. "Innovation and strong brands – that is what Konami is all about at this year`s gamescom. "With new versions of Pro Evolution Soccer, Metal Gear and Castlevania: Lords of Shadow, fans and gamers are introduced to our best brands. And via KONAMI onAir, we can connect directly with our community and bring KONAMI`s gamescom attractions to gamers all over the world – an exciting interaction that has never been at the show before." If you still need to buy your tickets for Gamescom, go here. And if you can't make it to Cologne this year, don't worry. 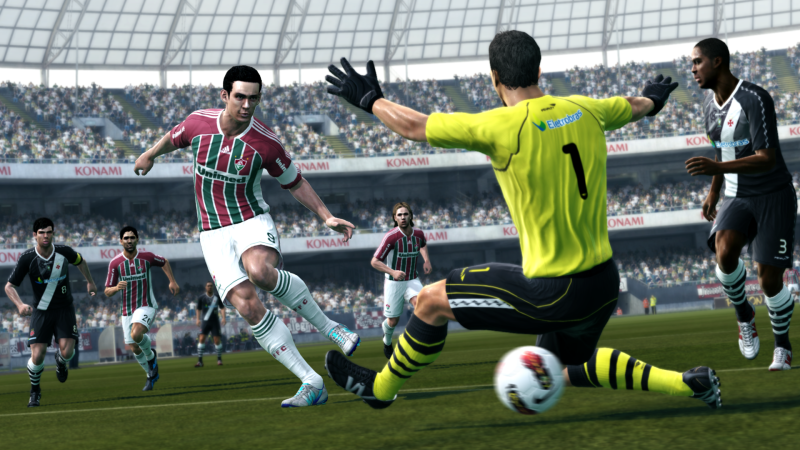 Although an exact release date hasn't been announced yet, Konami are planning to release the first PES 2013 demo sometime next month, so we'll all be getting a lengthy hands-on way before Gamescom.